You own a business, maybe a restaurant. You've got a lot to worry about. You have to make sure the food is safe and tastes good, that the place is clean and appealing, that workers are friendly and paid according to a hundred Labor Department and IRS rules. On top of that, there are rules you might have no idea about. The bathroom sinks must be a specified height. So must the doorknobs and mirrors. You must have rails. And if these things aren't right — say, if your mirror is just one inch too high — you could be sued for thousands of dollars. And be careful. If you fail to let a customer bring a large snake, which he calls his "service animal," into your restaurant, you could be in trouble. All of this is because of the well-intentioned Americans With Disabilities Act, which President George H.W. Bush signed 20 years ago. The ADA was popular with Republicans and Democrats. It passed both houses of Congress with overwhelming majorities, 377 to 28 in the House and 91 to 6 in the Senate. What does it do? The ADA prohibits discrimination against people with disabilities, requiring businesses to provide the disabled "equal access" and to make "reasonable accommodation" for employees. Tax credits and deductions are available for special equipment (talking computers, for instance) and modifying buildings to comply with the accessibility mandate. The ADA was supposed to help more disabled people find jobs. But did it? Strangely, no. An MIT study found that employment of disabled men ages 21 to 58 declined after the ADA went into effect. Same for women ages 21 to 39. How could employment among the disabled have declined? Because the law turns "protected" people into potential lawsuits. Most ADA litigation occurs when an employee is fired, so the safest way to avoid those costs is not to hire the disabled in the first place. Walter Olson, a senior fellow at the Cato Institute and author of the Overlawyered.com blog, says that the law was unnecessary. Many "hire the handicapped" programs existed before the ADA passed. Sadly, now most have been quietly discontinued, probably because of the threat of legal consequences if an employee doesn't work out. The law has also unleashed a landslide of lawsuits by "professional litigants" who file a hundred suits at a time. Disabled people visit businesses to look for violations, but instead of simply asking that a violation be corrected, they partner with lawyers who (legally) extort settlement money from the businesses. A few disabled people speak up against the law. Greg Perry, author of "Disabling America: The Unintended Consequences of the Government's Protection of the Handicapped," says that because the disabled now represent an added expense to businesses, many resent them. Finally, the ADA has led to some truly bizarre results. Exxon gave ship captain Joseph Hazelwood a job after he completed alcohol rehab. Hazelwood then drank too much and let the Exxon Valdez run aground in Alaska. Exxon was sued for allowing it to happen. So Exxon prohibited employees who have had a drug or drinking problem from holding safety-sensitive jobs. The result? You guessed it — employees with a history of alcohol abuse sued under the ADA, demanding their "right" to those jobs. The federal government (Equal Employment Opportunity Commission) supported the employees. Courts are still trying to sort it out. More money for the parasites. John Stossel is host of "Stossel" on the Fox Business Network. He's the author of "Give Me a Break" and of "Myth, Lies, and Downright Stupidity." 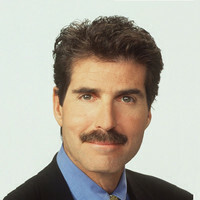 To find out more about John Stossel, visit his site at <a href="http://www.johnstossel.com" <http://www.johnstossel.com>>johnstossel.com</a>. To read features by other Creators Syndicate writers and cartoonists, visit the Creators Syndicate Web page at www.creators.com.